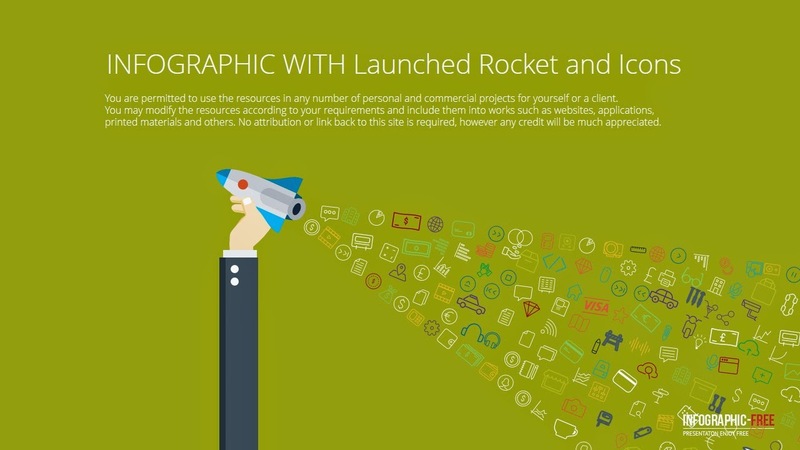 Today we have for you free infographic template with Rocket in hand and icons. All icons can be edited it's size and color. All elements are easy editable. This template includes PPTX(Widescreen) and PPT(Standard) version.